First of all, flights from various European cities, especially those located on the shores of the Mediterranean Sea, are quite cheap and reasonable. Moreover, if you book your flight a considerable period of time ahead, you would get much cheaper prices. This is in addition to many airlines that offer special promotions to Morocco. 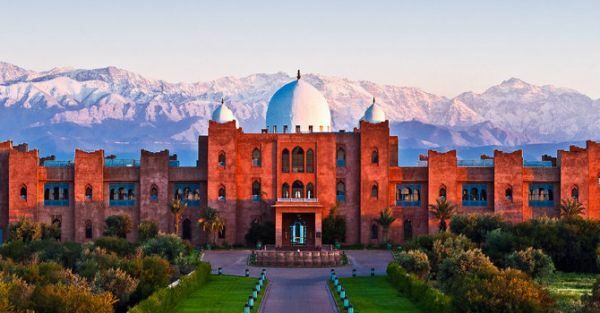 In terms of accommodation, in case you wish to have a Morocco tours budget, there are many various hostels and cheap hotels especially in touristic cities like Rabat, Fes, Marrakesh, and Casablanca. Morocco offers a huge variety of hotels ranging from cheap affordable to huge luxurious pricy hotel. For food and beverages, almost all hotels in Morocco offer breakfast for free with the price of the room. Moreover, for lunch and dinner, you are sure to find different restaurants with quite reasonable prices or grab a sandwich on the go. It’s advisable as well to try the Harira. This is traditional soup in Morocco with turmeric, black pepper, cinnamon, ginger, cayenne, butter, celery, and onions. A bowl of soup and some bread actually make a nice dinner. Those who are fond of shopping and yet do not wish to break the bank to purchase some wonderful and distinctive gifts and souvenirs should not be concerned in Morocco. There are many nice handcrafts including leather, shoes, bags, and small souvenirs that are sold for quite good prices. It is always a good idea as well to look for a good bargain during your Morocco cheap travel. It is quite recommended to use local transportation means in Morocco if you wish to save money and yet have a great time. There are several busses and trains that travel everywhere around the country. Inside cities, taxis fares are quite reasonable and you can even ride in shared taxis. Another great idea is the sleeping trains. They are cheap, comfortable, and would be an alternative other than spending the night in a hotel during your budget tour in Morocco.